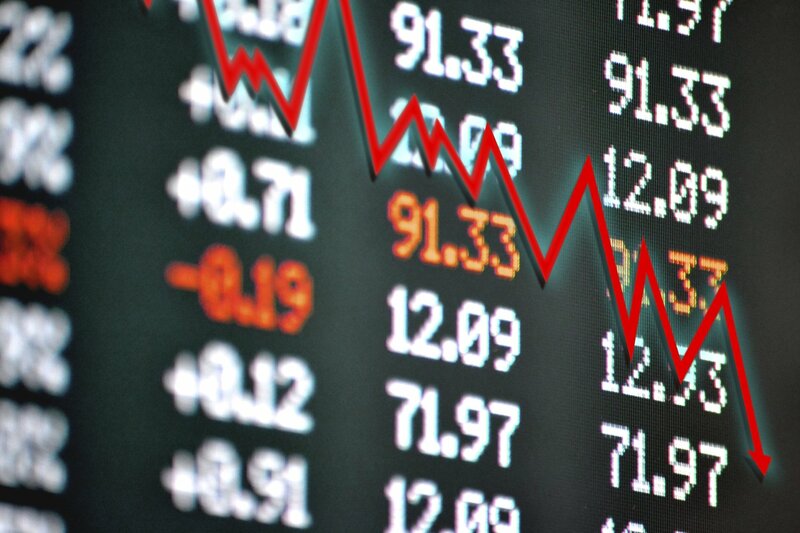 A stock chart is a graphical representation of stock prices over a specified time frame. They are also termed as time-series plots. While the y-axis or vertical axis of a chart represents prices, the x-axis or horizontal axis of the chart denotes the time scale. Charts are used for not only analysing, but also predicting the price movements of stocks. Technical analysts make good use of stock charts, but their use is not limited to technical analysis alone. As charts provide a graphical representation of the price movements of stock with respect to time, even fundamental analysts find them to be very useful. Stock Charts – How Are They Formed ? There are different types of charts, but the most popular ones are line, bar, candlestick, and point and figure charts. Some traders and investors believe that the closing price is more important as compared to the open, high and low prices. This to say that a line chart is created using only the closing prices of stocks, ignoring the intraday swings. A line chart can also be used when opening, high and low stock prices are not available. This is by far the most popular chart. A bar chart is created by using low, high and closing prices. The vertical bar represents the high and low prices, while a short horizontal bar that crosses the vertical bar represents the closing price. Each bar in a daily chart represents the low, high and closing prices for a specific day. In the case of weekly charts, a bar represents the low, high and closing prices for the week under consideration by the investor or trader. Opening price can also be plotted in a bar chart, but the chart tends to become cluttered when more data are added to it. If opening price is required, then a candlestick chart is a better alternative. This chart originated in Japan more than 300 years ago, but it has become very popular in the recent years. A candlestick chart represents the opening, intraday high and low, and closing prices of a stock. Daily and weekly candlestick charts are also created. Many investors and traders believe that reading the candlestick charts is easy. They also believe that it helps to understand the relationship between the opening and closing prices better. All of the charting methods described above plot only one data point for each specified period of time. Irrespective of the price movement, each day or week is represented as point, bar, or candlestick. Even if there is no change in price from one day to another or one week to another, a dot, bar, or candlestick marks the price action. However, a point and figure chart is based solely on movement in price. They do not take time period into consideration. The x-axis does not evenly extend across the chart. The beauty of the point and figure chart is its simplicity. This chart represents only price movements that are more than a specified level. Therefore, this chart makes it easy for traders to identify support and resistance levels, bearish breakdown points and bullish breakout points. Prices are represented along the y-axis in two ways: arithmetic and logarithmic. A logarithmic scale represents price changes in percentage terms. It is not easy for an investor to perform technical analysis without a good stock chart. There are a number of charting service providers. In this article we will look at the top five free stock charting websites. The charts provided by them serve as a good resource for new traders and investors who have started to delve into stock chart education, but also will be of great help to seasoned veterans. Stockcharts.com is the number one website because of its cleanliness, simplicity, and overall scalability. As a result, it is one of the widely used free stock charting sites by financial bloggers. This website offers a wide range of different free tools and many ways of analysing the chart for any stock. If you want historical information and want to do further analyses, then you may have to upgrade and become a paid user of the site. If you want a clean as well as flexible way of viewing the stock charts, then you can try this website. The site provides community driven stock charts with analysis as annotations. TradingView also offers advanced features and/or real-time data. Investors can also easily look back prior data and analyze the historical performance of a stock. Further, comparing multiple indices or charts by making them overlap is a breeze. Yahoo Finance’s charting service is similar to that of Google Finance. However, the difference is that it does not have additional bullet points for highlighting the key dates. The charts provided by Yahoo Finance are clear, very easy to use, and will be of great help to regular investors. This is why charts from Yahoo Finance are most favored by investors after StockCharts.com. Additionally, Yahoo Finance is the place to go to for research, quotes and news, among many other things. FINVIZ.com may be in the fifth position in this list, but it is a popular site when it comes to screening stocks. The charts provided by FINVIZ are easy to read, simple and include technical analysis. The site makes possible overlays on chart by default. This is something that the other providers of chart services do not make available. This is what is unique about this site.